Sheriff Scott Jackson sees the lack of work-release space as among the biggest problems. Benton County officials want to build a new jail because the old one is potentially dangerous and hopelessly outdated. Now they’re trying to gauge what voters will accept. 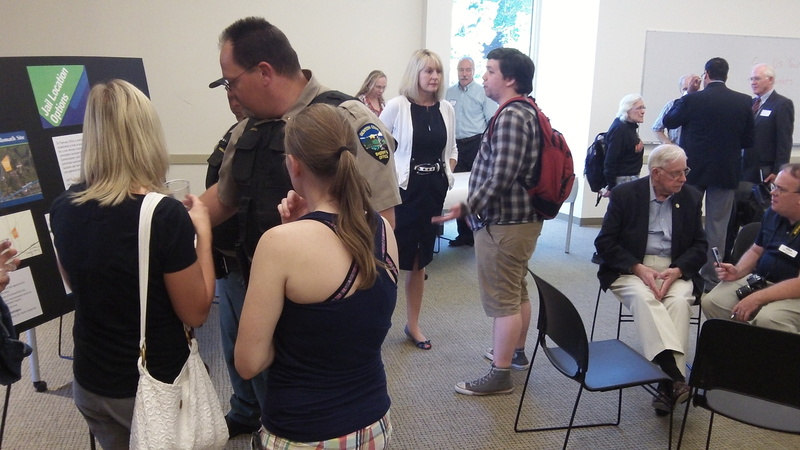 To that end the county invited the public to an informal “outreach” session Thursday, and about three dozen people showed up. So far, the county commissioners and Sheriff Scott Jackson are thinking of a jail with about 120 beds plus a work-release center of 12 beds. They believe this will cost about $20 million, and they are thinking of putting a bond issue on the ballot this November. Two sites are under consideration, both vacant land, one near the Corvallis airport south of town, and the other a former mill site in Philomath. A brochure at the open house ticked off some of the jail’s many shortcomings. There’s occasional flooding with sewage because there’s no containment system. The space is too cramped for medical treatment, resulting in trips to the emergency room. The pipes are buried, so when one clogs, the concrete floor has to be jackhammered open. Fluid leaks (unspecified what kind of “fluids”) have weakened the walls to such an extent that chunks of concrete are coming off. To Sheriff Jackson, one of the biggest things lacking is space for work-release. That’s where people sentenced to a few days in jail can be booked for the night but can go to work during the day, avoiding all the problems for them and their families that come from losing their jobs. 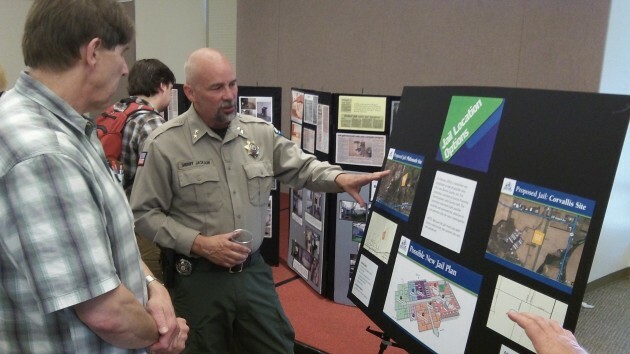 The open house on Benton’s jail plans drew a smattering of people. I’m a 20yr resident of Benton County and am not aware of any public invitation.